Vincent and Denise Bates,creators of Jazz Suite Music Enterprises, LLC met in 2007, married 3 years later and they’ve been making wonderful music together ever since. Their love for jazz and the gospel inspired Denise to produce Vincent’s first Gospel (gospel cool) CD, “I Don’t Mind” (Jesus Has Called My Name). In numerous occasions while composing, they discovered that their music had so much variety that it was very difficult to leave it in one category. Thus, “Jazz Suite” (the concept) was created to portray the various forms of jazz they play and compose. As a duo, they have performed for many private functions, which brings us to their COVER category that was created to showcase their unique rendition of popular songs. Anybody getting married? Give these two a call, they will add tone and depth to your private occasion. The SYNC category came about when Denise and Vincent discovered how easy it was to just come up with a diddy. VINCENT BATES the creator of Jazz Suite, is a well-rounded musician with a unique approach to his artistry. He not only sings very well but he plays the coolest trumpet. 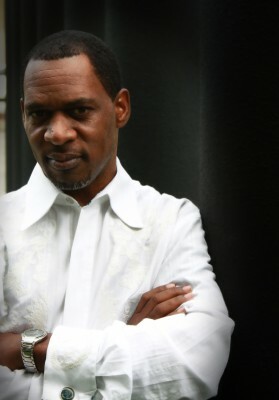 Having been nurtured in the church, he has been in music ministry from the early eighties to the present. His love for the things of God keeps him going with purpose and a mission to touch people through music. Most of all, to soothe and quiet the souls of people to be able to hear God and get His counsel for life. Vincent has recorded and performed professionally for many years. He has done numerous concerts with the likes of Daryl Coley, Helen Baylor, and Tremaine Hawkins as a guest back-up singer and trumpet player. Also performances with various music ensembles such as the Austin City College Jazz Band, and Long Beach City College Jazz Ensemble; events and notable venues include B.B. King’s Gospel Brunch, Madison Square Gardens, Six Flags Magic Mountain Gospel Fest, and the Hollywood Bowl in Los Angeles, California. His television appearances include an acting stint in “Roots” The Second Generation, author Alex Haley. A local Trinity Broadcasting Network (TBN) in Killeen, Texas, was graced with his presence along side the Latter Day Singers. You can also find a video clip online of Vincent performing a Christmas Show with the production of West Coast Praze. DENISE STEWART-BATES is an international recording artist who has many years of experience in every kind of vocal arena: Jazz, Gospel, R&B, Country, Choral & Classical. Upon obtaining her B.A. in Music from Fisk University, she started gigging with James Polk in Austin, TX, touring and recording with R&B/Jazz Impresarios, Norman Connors, Craig T. Cooper, and Pete Moore (of the Miracles). She has been a featured vocalist on numerous albums and has sung on many stages all over the world. Her most recent and proudest accomplishment happened in 2009, when she had the honor of singing during the Inaugural festivities in Washington, D.C. with ACC’s Jazz Ensemble under the direction of Dr. Thom Husak. She was the guest soloist at the Erwin Center and the AT&T Center this past spring and has been asked to return in January for another performance. 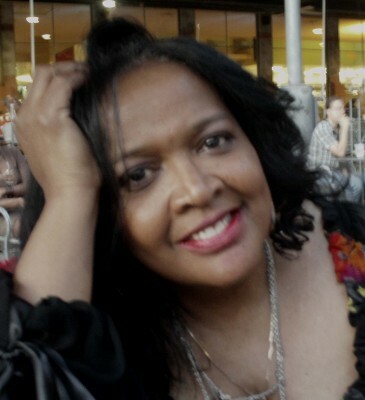 Denise has been a vocal coach with an emphasis in performance and recording for 20+ years. Jazz Suite Music Enterprises, LLC was formulated to address Everything that these talented people can do, on and off line….sing, play, create, arrange, design and formulate music! Take a tour of this new website – Jazz Suite might have exactly what you need.